61 Deep. Newest brew on the Burton block. 61 metres. That’s the depth of the well at the Brewery that gives this refreshing pale ale its name. The five American and Australian hops give it its fresh, zesty aroma, whilst the tropical fruit and citrus notes make it extremely drinkable. Dive in. Old Empire is brewed a delicate flavour pale barley malt that enables other flavours to come through on the palate. Goldings and Fuggle hops are added to this brew, which is then late hopped with American Cascade for a citrus hop aroma. A 5.7% traditional India Pale Ale. Marston's Owd Rodger plays homage to the old style country ale, with its explosion of rich fruit flavours followed by a dry, bitter-sweet finish. Brewed to a recipe believed to be over 500 years old, this beautiful strong ale should be savoured in moderation. 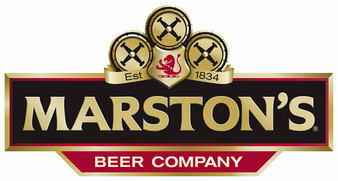 Marston's Owd Rodger ale offers a taste of fruity caramel with a heavy note of sweet malts with soft, syrupy undertones.